Give your header photo some holiday flare and spotlight your seasonal promotions, events, or top products. For example, Austin based boot company @helmboots uses their header photo to feature their top seasonal products. 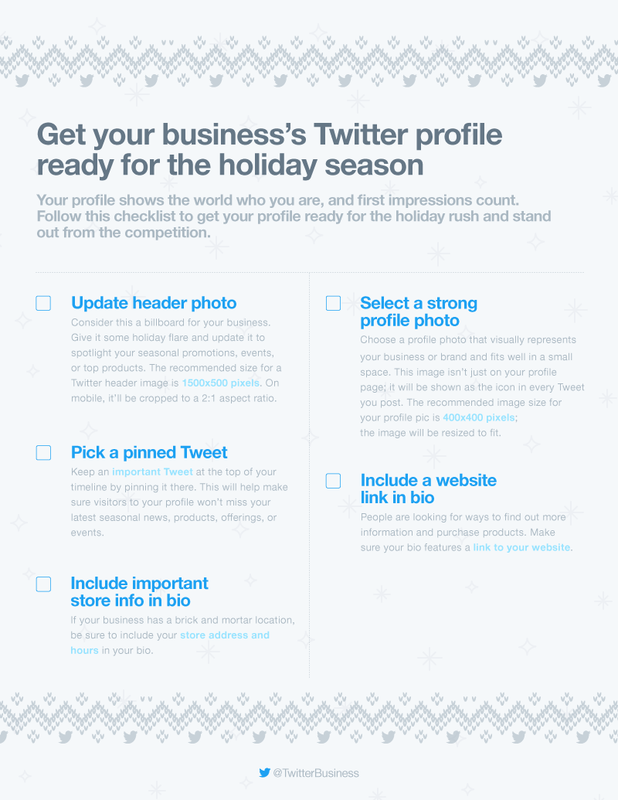 Ready to get your profile in top shape for the holiday season? Download our checklist and Tweet us questions @TwitterBusiness.